Getting caught in the dark can be both a nuisance and a hazard. 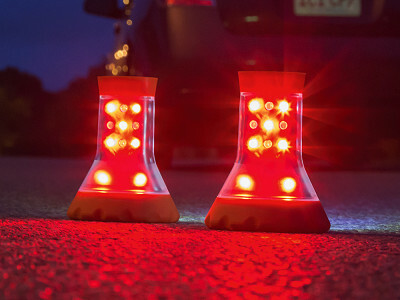 But with LED safety lights at the ready, you’ll be prepared to light up any situation. 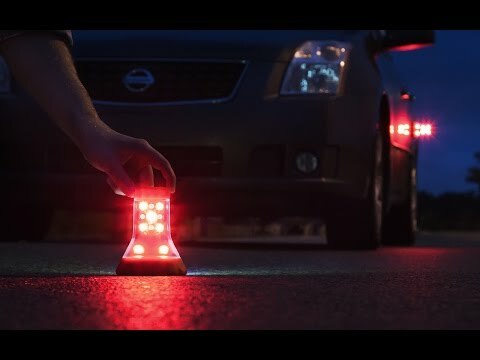 The durably built lights from SmartFlare are designed to lend a hand at home, on the road, or outdoors. Shine the versatile lights in any direction (or all directions at once), so you’ll have ultra-bright LED wherever you need it. They’re magnetic, which lets them stick to metal surfaces like your car or fridge. Silicone bumpers help protect against scratches and dings, too. 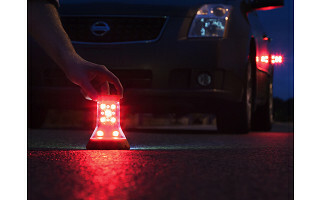 And the battery-powered bulbs, which last for up to a day on a charge, function as a flashlight, lantern, or flashing roadside flare. For hiking, camping, or just working on projects, the pocket-sized Swivel Light is great to keep on-hand. The Multi-Use light is a bit larger, but it’s still compact enough to stash in the car or a backpack. Whether on the road or during a power outage at home, these smart lights make it easy to stay safe. Hello everyone! I'm proud to introduce SmartFlare to The Grommet. I'd be happy to answer any questions you have! are they chargeable or disposable? 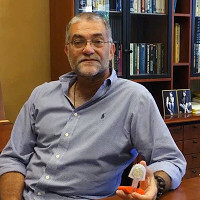 "battery-powered bulbs, which can last for up to a day" . . . I trust that means the battery charge lasts up to a day, not the bulbs themselves. @Cliff Thanks for the question! You are correct, that is in regards to the battery life. The average battery life, depending on the mode used, will last up to a day. For the bulbs, they will last for thousands of hours (with batteries). How bright are the LEDs? What distance can they be seen from? Do you know the batteries shelf life? Lastly, can I use my rechargeable AA or AAA batteries? Great questions @Howard! The max lumens for the Multi-Use Light is 200 on flashlight mode (it has white lights on one side and red lights on the other). The max lumens for the LED Swivel Light is 264 on both sides when on lantern mode. As for the distance from which they can be seen, they are extremely visible on the road. In good conditions, they can be seen from over a mile away. 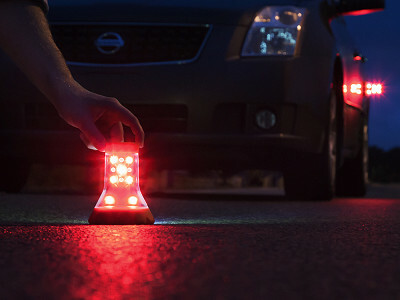 As a safety precaution, it's best to have the red light facing toward oncoming traffic. The average battery shelf life will depend on the battery, but we recommend lithium batteries for the longest shelf life possible. And yes, rechargeable batteries can absolutely be used for these products! What flash modes are there? Is one of them S.O.S.? Also, will a solar version be available, as batteries stored in cars tend to corrode? Thank you. Thanks for the Questions @MJ. The flashing is not S.O.S, the video shows the actual flashing sequence. We are not currently working on solar but that's a cool idea. Lithium batteries (what we recommend) actually have terrific shelf life properties.